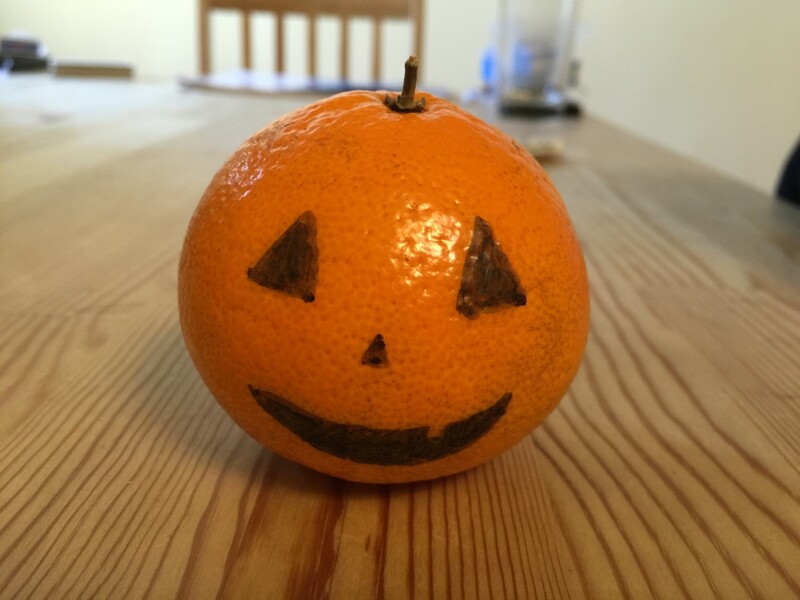 Ali decided this orange should go dressed as a pumpkin for Halloween. Later she ate it in a most gruesome, Halloween-y way. If you had asked us any time before October about when we’d be visiting the UK, we would have told you we’d get there someday, but probably not for a couple of years. But a combination of crazy-cheap flights (seriously, $73.32 for both of us to fly from Munich to London) and a free place to stay (thanks, Grant and Erinn!) bumped it up to the top of the list, and we spent about a week at the end of October/beginning of November exploring London. I have read A Christmas Carol (and Joe has seen A Muppet’s Christmas Carol) more times than you can count, so there was a very specific idea of London in our heads when we arrived: a dark, foggy, wet city full of tall stone buildings. No matter how many times we told ourselves that it obviously wouldn’t be like that today, it was still hard to get that out of our heads. Pip pip Cheerios! I think they’re a big fan of the cereal? Hopefully it’s the honey-nut kind. Whatever. We don’t claim to BE from England. Luckily, we had a great mix of weather, with a few sunny days sprinkled in with rain and clouds and, that’s right, fog. It was perfect. I could practically hear the muppets singing as we walked along wet pavement in the cool, foggy evening air. To be, or not to be? 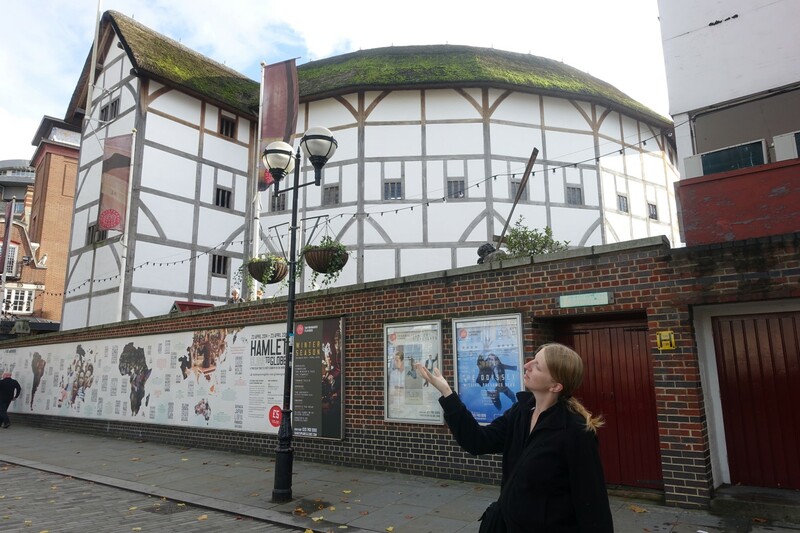 Ali ponders this outside Shakespeare’s Globe Theatre. <—- Notice the British spelling of “theater.” We totally get those Brits. Joe never had his heart set on going to London—it just wasn’t one of his top must-see destinations—but it’s been fairly high on my list for a long time. I’m an English major, after all. Charles Dickens, Shakespeare, Jane Austen, JK Rowling… it doesn’t get much better than that. 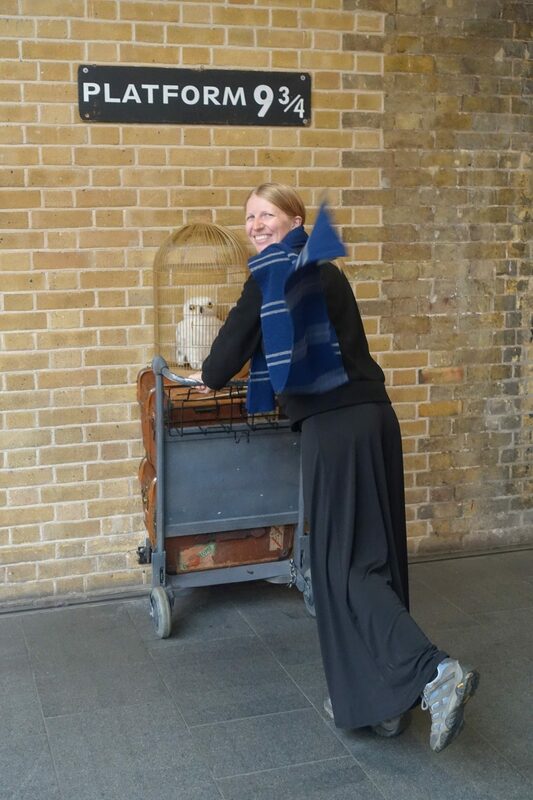 Ali attempts to escape though Platform 9 3/4 to Hogwarts. When we took pictures at Platform 9 ¾, I giggled like a little girl and wanted to buy a hundred things from the awesome giftshop (I didn’t, but man, they had some great stuff). 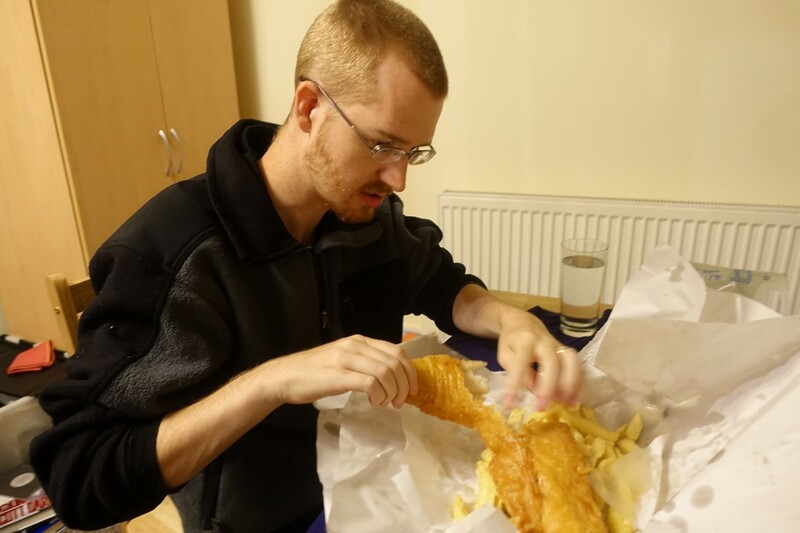 Joe enjoys some fish and chips. Isn’t it weird that they call french fries “chips”? Wait, we do that too, when paired with fish. Why do we do that, again? We did about every very British thing you can imagine: walking across the London Bridge (which–as you can see from the top picture with Joe having just crossed it–is NOT actually falling down, despite the songs we teach our children about it), going to see Westminster Abbey and Big Ben, eating fish and chips, saying “London, baby!” a lot. 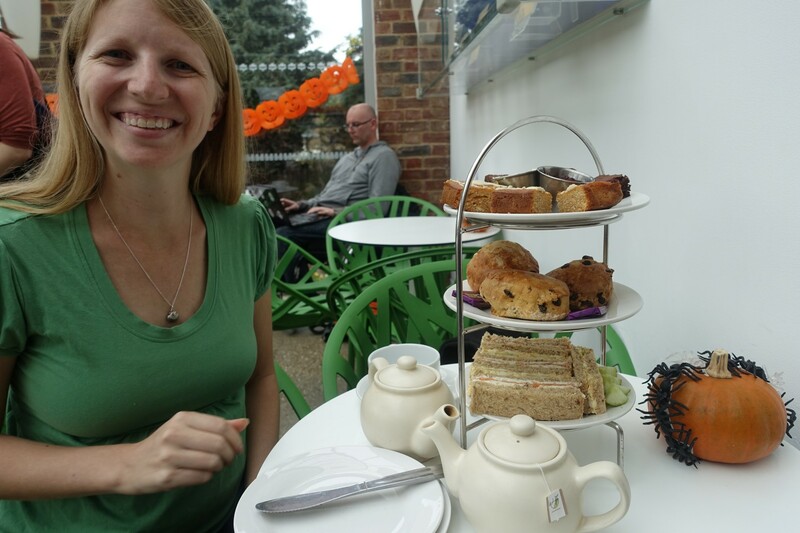 We even had afternoon tea, complete with finger sandwiches and scones. And Joe is pretty sure he saw the Queen of England though the rear windows of a car. I didn’t believe him at first—not every fancy black car being escorted by a couple of police officers on motorcycles near Buckingham Palace is occupied by the Queen of England—but Joe was insistent, and he’s convinced me that I probably missed the queen. We were only a mile from Buckingham Palace, Joe never thinks he sees celebrities, and even queens need to get out of the house sometimes. So I’m not saying that it was for sure her, but… maybe. All in all, London was a huge success, and we have a list of things to see the next time. We still need to visit Stonehenge, and we had to skip the Natural History Museum because a school holiday made it ridiculously overcrowded, and we never made it over to the TARDIS. Next time. We skipped Stonehenge (drove past. Decided it wasn’t worth it. All that money to be kept behind a fence), but we did make it to the Natural History Museum. Will definitely go back. It was awesome! Didn’t get to the British Museum and I’m devastated we didn’t get to the British Library (especially when I realised we had been so close). Maybe we will get back one day.